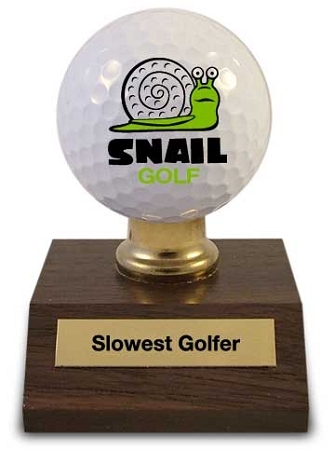 You’re presented this award after completing that six hour round of golf. Your fellow golfers certainly enjoyed the lengthy stories you told on each tee box, your exhaustive pre-shot routine, the time spent searching for obviously unfindable lost balls, and the way you surveyed each green from every possible angle (while managing to 3-putt most). Congratulations!